As the ‘Return of the King’ tour marched through the land, many teams felt the fury of the improving Cavaliers. The Cavs stomped the Hornets in all 4 meetings that season. 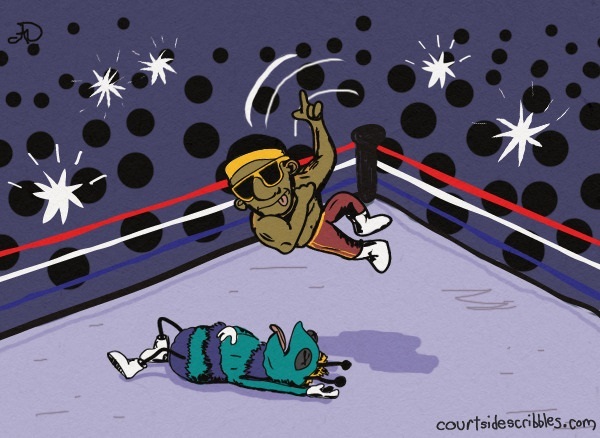 This Lebron cartoon illustrates the elbow drop from the top rope on Hugo the lowly Hornet. This image came to me on the evening of January 23rd when the Cavs beat ‘The Buzz’ by 39 points. Ouch.